A former Dartmouth student filed a lawsuit against Dartmouth College on Jan12th in NH Federal Court. The Student referred to as John Doe alleges he was unfairly expelled last year. According to The Dartmouth, the student claims it was a biased disciplinary proceeding that violated his Title IX rights. According to a copy of the filing obtained by The Dartmouth Doe claims that he was subjected to an unfair disciplinary process after a female Dartmouth student, referred to as Sally Smith, filed a complaint in October 2016 with Dartmouth’s Title IX Office. Smith’s complaint was related to a sexual encounter that occurred on campus in August 2016 that left both parties physically injured. When filing the complaint, Smith allegedly told then-Title IX coordinator Heather Lindkvist that the sexual encounter was consensual. 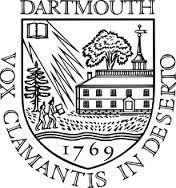 Dartmouth hired an external investigator to determine if Doe violated the College’s Standards of Conduct, specifically Standard I, “behavior which causes or threatens physical harm to another person consensual or not and/or violated Standard III, engaging in sexual misconduct of any kind. In November 2016, Doe alleges he was unable to consent during the encounter because he was incapacitated by alcohol. Doe filed a complaint against Smith for physical and sexual assault. In March of 2017, Doe was found responsible for violating Standard I, related to physical harm. Smith was not found responsible for any violation. The filing requests that Doe be reinstated as a student at the College and receive an award for damages suffered and attorney’s fees.